As official fuel sponsor of the National Ploughing Championship again for 2017, we are offering a special discount for all exhibitors. From the 8th to the 21st of September, we are offering 4 cent off per litre*. 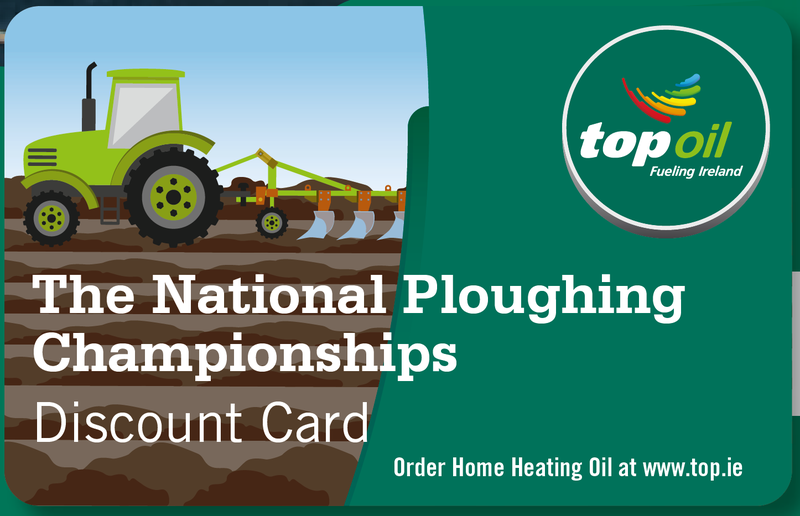 Once you have applied for your discount fuel card, simply present your National Ploughing Championships discount card at the following participating Top Oil locations when you fill your tank. To request an exhibitors card, simply complete the application form in your pack or email marketing@top.ie . Application process required. T&Cs apply maximum purchase 100 litres. Valid between 18th – 21st September only for exhibitors of The National Ploughing Championships. Offer applies in participating Top Oil locations only.